or one of our cosy nautical inspired indoor spaces. 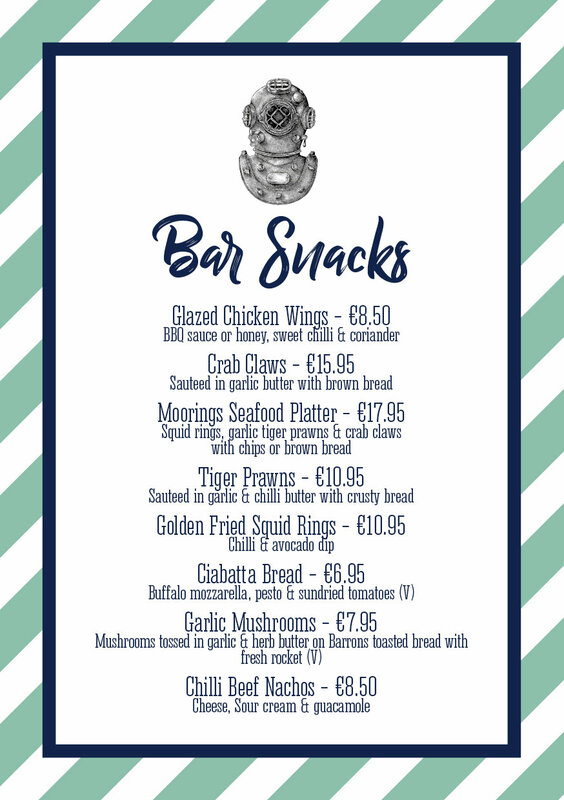 Monday - Thursday: Daily Lunch menu from 12-3pm. Bistro-Bar Menu from 5-8pm. 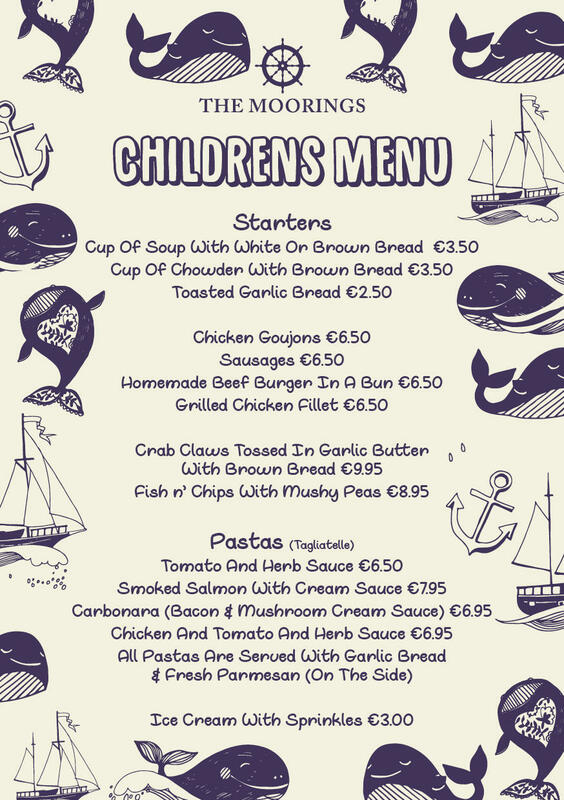 Friday: Daily Lunch Menu from 12-3pm. Bistro-Bar Menu from 5-9pm. Saturday: Saturday Menu from 12-3pm. Bistro-Bar Menu from 3-9pm. 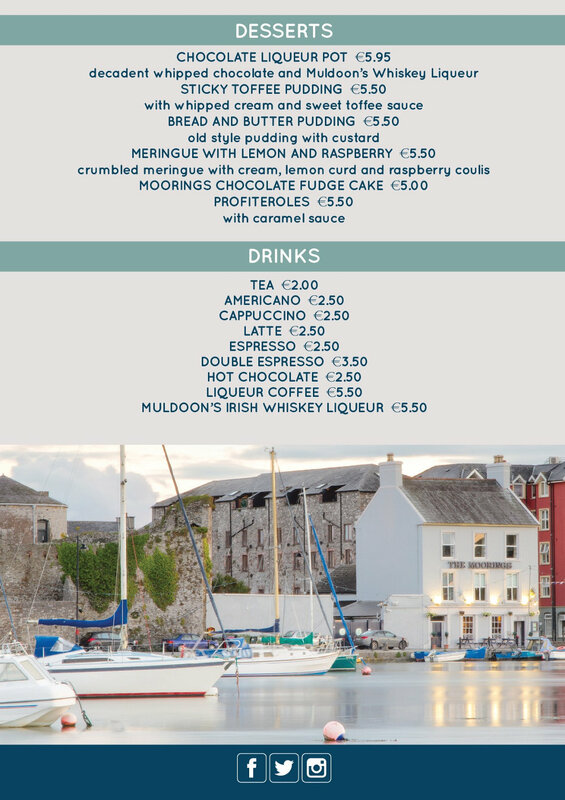 Sunday: Sunday Lunch Menu from 12.30-2.30. Bistro-Bar Menu from 2.30-8pm. We have a fully stocked bar and an extensive range of wines available. 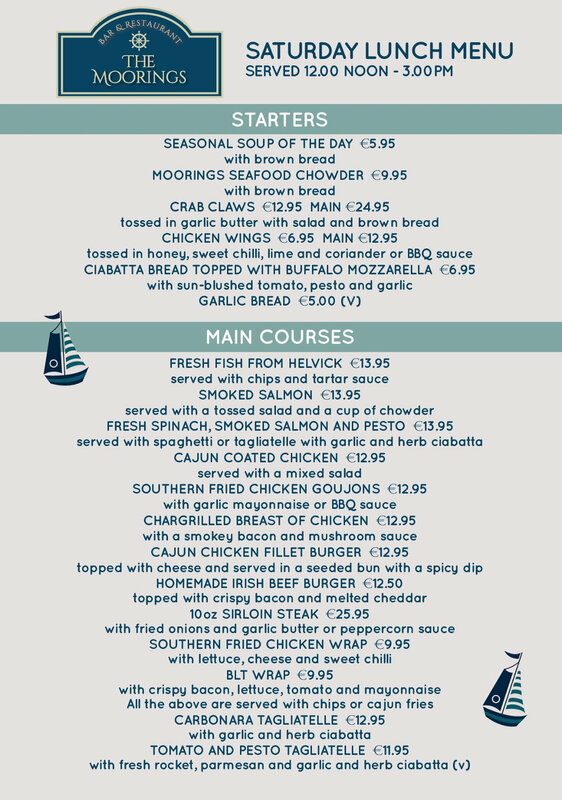 Our menu specialises in locally caught fish and shellfish sourced from both Helvick and Ballycotton, as well as a range of other dishes. We only use fresh produce. 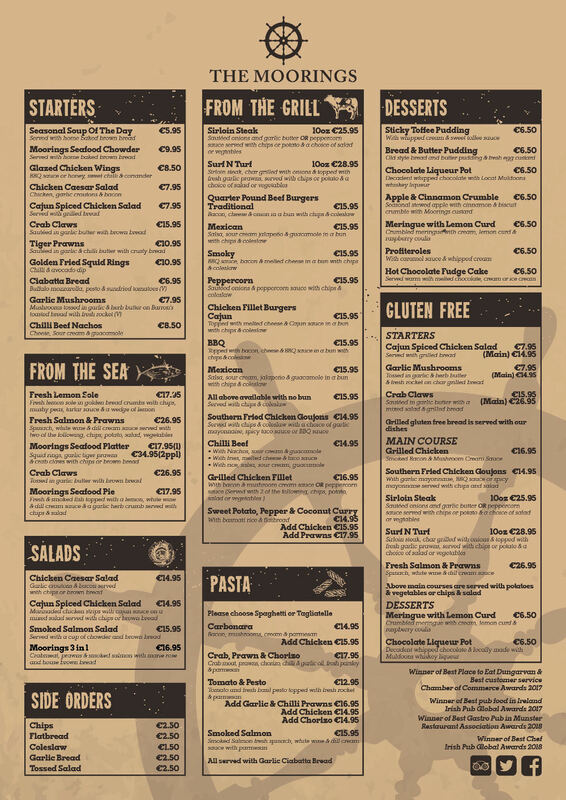 Please browse our menus below for further information.